HollywoodNews.com: Last night, stage and screen legend Shirley MacLaine was lauded with the 40th annual AFI Life Achievement Award – the highest honor for a career in film. Some of Hollywood’s most revered luminaries turned out to pay tribute to one of America’s most beloved artists. The gala, entitled “TV Land Presents: AFI Life Achievement Award Honoring Shirley MacLaine,” was taped at historic Stage 15 at Sony Pictures Studios last evening and will air on TV Land on Sunday, June 24 at 9:00 p.m. ET/PT. The evening’s festivities kicked off with MacLaine entering the gala of over 1,000 attendees to “If My Friends Could See Me Now,” a song she made famous in the 1969 screen version of “Sweet Charity.” Immediately following dinner, Warren Beatty, MacLaine’s brother, Academy Award®-winning actor and fellow AFI Life Achievement Award recipient (2008), talked about how the AFI Life Achievement Award was established in 1973 to ensure that “the great masters of film may take their deserved place in history beside leaders in other arts” and introduced the award recipients in attendance to celebrate MacLaine and the award’s 40th anniversary – Sidney Poitier (1992), Jack Nicholson (1994), Steven Spielberg (1995), Meryl Streep (2004) and Morgan Freeman (2011). Last year’s AFI Life Achievement Award recipient, Morgan Freeman, recounted MacLaine’s impressive journey that led her to where she is today, and Elizabeth McGovern, who stars on “Downton Abbey,” shared a never-before-seen clip from the hit PBS series (returning in 2013) that featured MacLaine and Dame Maggie Smith. Comedian Don Rickles had the ballroom in stitches as only he can, while also sincerely noting that MacLaine has “charm, warmth, class and is a person who makes you feel at home and loved on and off the screen.” In addition, Senator George McGovern and U.S. Representative Dennis Kucinich spoke eloquently about MacLaine’s activism and passion to make a difference in the world through her support of the political process. The evening was peppered with video tributes from the likes of Mikhail Baryshnikov, Jack Black, James L. Brooks, Stephen Hawking, Goldie Hawn, Nicole Kidman, 2010 AFI Life Achievement recipient Mike Nichols and Charlize Theron. 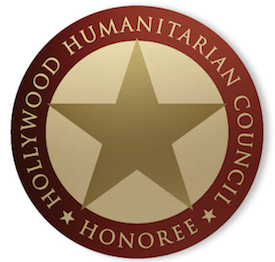 Among the many other guests present to honor MacLaine were Toni Collette, Carrie Fisher, Peter Fonda, Marcia Gay Harden, Dennis Haysbert, Deborah Secco, Tom Skerritt, Cecilia Suarez and Mena Suvari. Proceeds from the AFI Life Achievement Award gala directly support the Institute’s national education programs and the preservation of American film history. HP is the Presenting Sponsor of the gala tribute. Official Sponsors include Audi of America, Deloitte, Verizon Digital Media Services and American Airlines – the official airline of AFI, with additional support provided by Four Seasons Hotel Los Angeles at Beverly Hills and Stella Artois. 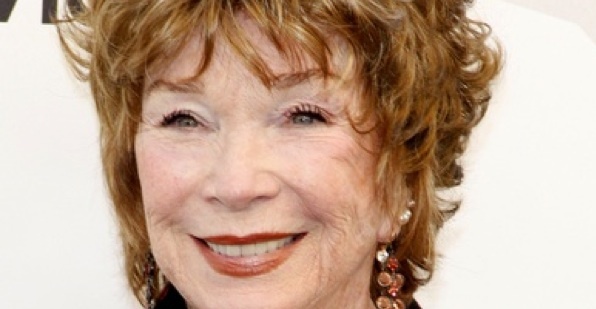 “TV Land Presents: The AFI Life Achievement Award Honoring Shirley MacLaine” was produced by Bob Gazzale and Chris Merrill for the American Film Institute and was directed by Louis J. Horvitz. For photos of the event, please go to www.picturegroup.com. For video of last night’s show, please contact Alex McQuiston at Alex.McQuiston@tvland.com. AFI preserves the legacy of America’s film heritage for future generations through the AFI Archive, comprised of rare footage from across the history of the moving image and the AFI Catalog of Feature Films , an authoritative record of American films from 1893 to the present. AFI honors the artists and their work through a variety of annual programs and special events, including the AFI Life Achievement Award and AFI Awards. Celebrating its 40th year, the AFI Life Achievement Award has remained the highest honor for a career in film while AFI Awards, the Institute’s almanac for the 21st century, honors the most outstanding motion pictures and television programs of the year. AFI’s 100 Years…100 Movies television events and movie reference lists have introduced and reintroduced classic American movies to millions of film lovers. And as the largest nonprofit exhibitor in the United States, AFI offers film enthusiasts a variety of events throughout the year, including AFI Fest presented by Audi, the Institute’s annual celebration of excellence in global cinema; AFI-Discovery Channel Silverdocs, the largest documentary festival in the U.S., celebrating its 10th edition this year; and year-round programming at the AFI Silver Theatre in the Washington, DC area. AFI educates the next generation of storytellers at its world-renowned AFI Conservatory, named the #1 film school in the world by The Hollywood Reporter for the quality of its instructors and speakers, and its “glittering parade of alumni.” AFI Conservatory offers a two-year Master of Fine Arts degree in six filmmaking disciplines: Cinematography, Directing, Editing, Producing, Production Design and Screenwriting. Aspiring artists learn from the masters in a collaborative, hands-on production environment with an emphasis on storytelling. 2012 AFI Life Achievement Award honoree Shirley MacLaine joins an esteemed group of individuals who have been chosen for this distinguished honor since its inception in 1973: John Ford (1973), James Cagney (1974), Orson Welles (1975), William Wyler (1976), Bette Davis (1977), Henry Fonda (1978), Alfred Hitchcock (1979), James Stewart (1980), Fred Astaire (1981), Frank Capra (1982), John Huston (1983), Lillian Gish (1984), Gene Kelly (1985), Billy Wilder (1986), Barbara Stanwyck (1987), Jack Lemmon (1988), Gregory Peck (1989), Sir David Lean (1990), Kirk Douglas (1991), Sidney Poitier (1992), Elizabeth Taylor (1993), Jack Nicholson (1994), Steven Spielberg (1995), Clint Eastwood (1996), Martin Scorsese (1997), Robert Wise (1998), Dustin Hoffman (1999), Harrison Ford (2000), Barbra Streisand (2001), Tom Hanks (2002), Robert De Niro (2003), Meryl Streep (2004), George Lucas (2005), Sean Connery (2006), Al Pacino (2007), Warren Beatty (2008), Michael Douglas (2009), Mike Nichols (2010) and Morgan Freeman (2011). Viacom (NASDAQ: VIA, VIAB) is home to the world’s premier entertainment brands that connect with audiences through compelling content across television, motion picture, online and mobile platforms in more than 160 countries and territories. With approximately 170 media networks reaching more than 600 million global subscribers, Viacom’s leading brands include MTV, VH1, CMT, Logo, BET, CENTRIC , Nickelodeon, Nick Jr., TeenNick, Nicktoons, Nick at Nite, COMEDY CENTRAL , TV Land, Spike TV and TR3s. Paramount Pictures, America’s oldest film studio and creator of many of the most beloved motion pictures, continues today as a major global producer and distributor of filmed entertainment. Viacom operates a large portfolio of branded digital media experiences, including many of the world’s most popular properties for entertainment, community and casual online gaming. HP creates new possibilities for technology to have a meaningful impact on people, businesses, governments and society. The world’s largest technology company, HP brings together a portfolio that spans printing , personal computing , software , services and IT infrastructure to solve customer problems. More information about HP (NYSE: HPQ) is available at hp.com.